How do I add my address or VAT number to Stencil receipts? Click on the "Receipt Settings" in the bottom left of this window, and a screen will appear where you can add your VAT number or address information. 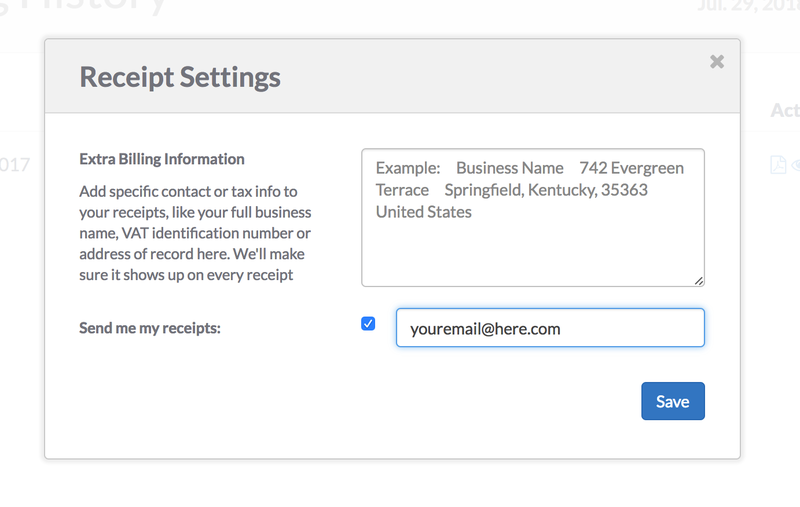 Enter your information in the "Extra Billing Information" text area. Note: We often refer to "receipts" and "invoices" interchangeably. For the purposes of Stencil's subscriptions, these two are exactly the same thing. Stencil receipts will serve as "invoices" for accounting purposes.